Short haircuts are no longer the necessary attribute of a modern man as they try to look extravagant, distinctive and masculine at the same time. Then what are they looking for while choosing a new image? 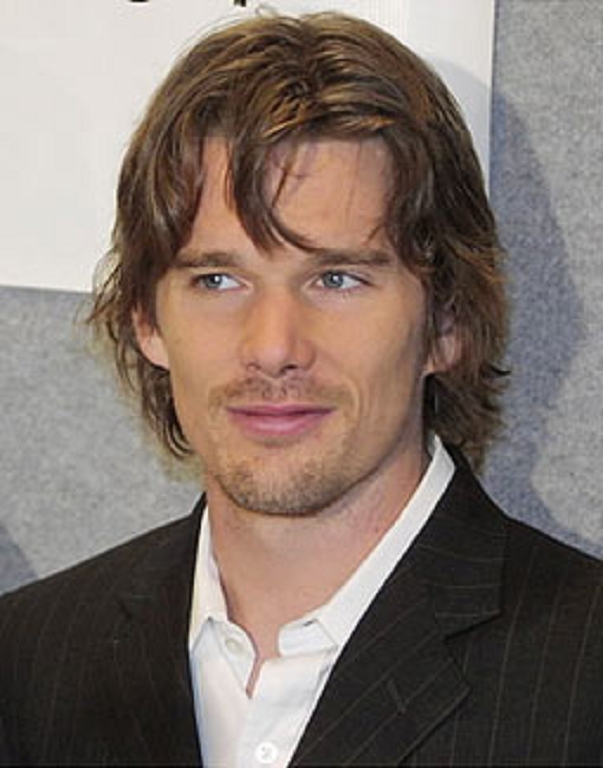 Medium length hair is number one choice of nowadays teenagers and young men. But lots of middle-aged men choose it as well giving themselves a boyish boisterous look. Lots of celebrities choose medium length hair and look superb.There is no strict rule when short length is over and medium length starts. But the common opinion is that medium length haircuts are those when sides and back are cut shorter than the top leaving long locks on it. But when choosing this length, remember that it doesn’t suit everybody. If you are round faced, it can visually make your face look even rounder and this hairstyle will spoil your appearance. On the other hand, it will help to hide natural faults if your face is too long or if you are flap-eared. 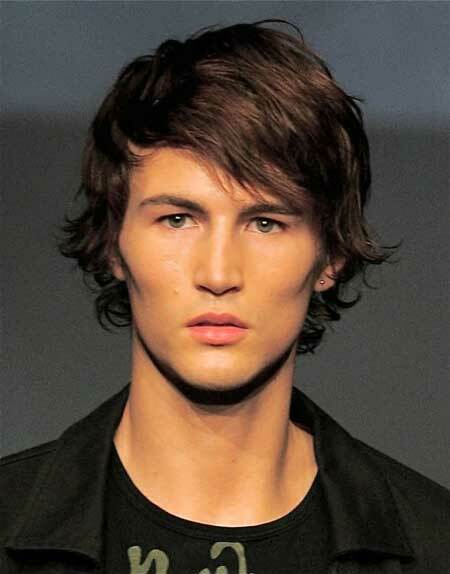 Medium length haircuts will be a real discovery for you and there is no need to suffer wearing short haircuts. So what are top men’s medium length haircuts? Even if it seems that there are not many options, you are mistaken. We’ve made a list to make it easy for you to choose from. It is commonly accepted that bob is a female hairstyle. If you think the same, then you are old-fashioned as this haircut has gained world-wide popularity among the strong half of humanity. Bob can be different: you can have a classic bob hairstyle short at the back. Or you can ask your hairdresser to make it graded for you. Graded haircuts are OK for people with thin hair or for those having no volume. Of course, a graded bob won’t solve your hair problems but it will create an illusion of more hair on your head. 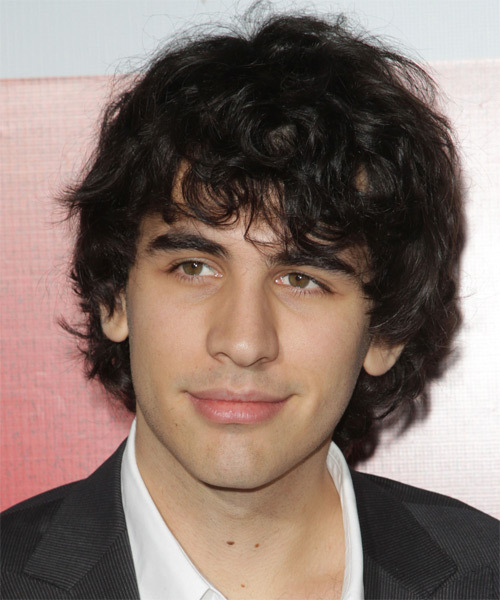 Curly and wavy haired men can bravely stop on this option as their hair will look superb in bobs. If you add a three day stubble you’ll gain the popularity of a real macho. It is definitely not for those who are conservative. Most asymmetric haircuts mean having one shaved side or cut very shortly, while the other one is left quite long. This hairstyle is often chosen by men of art, stage, etc. If you are eager to experiment, you are welcome! Certainly, the haircut was named after a famous actor who gave this haircut a particular look. 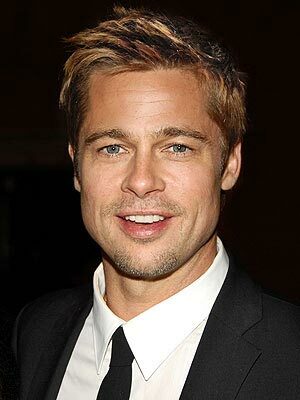 Brad Pitt wore this haircut for a long time. The secret of this style is that the bang in it is not brushed away or to either side. It is just raised a little bit to make it massive forming separate locks using hair gels and foams. These locks are styled all over the head in a creative chaos. The major idea is to raise the bang. Don’t forget it! It is all for now. There is a lot to choose from. Make your decision wisely!